Last Weekend for Dream Girls Chicago! 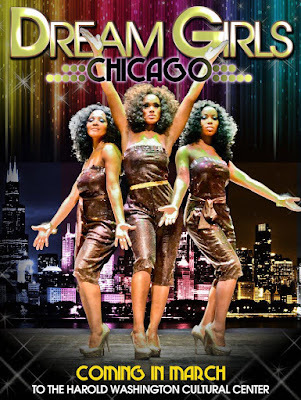 Just wrapped up another great weekend at Dream Girls Chicago. Miss Black Illinois USA 2012 (it sounds hilarious to me to type the full title in “ordinary text”) has been dancing in the ensemble for this past March! It’s been a great run. This weekend will be the final two shows, so please come out and support my cast and I!